IkamvaYouth Gauteng branches participated in the Global Mentorship Walk that took place at the Voortrekker Monument Park in Tshwane to commemorate International Women’s day on Saturday the 11th of March 2017. The mentorship walk brought together girls and women from the region, including 11 Grade 12s from Mamelodi branch, 8 from Grade 12s from Ivory Park and 8 Grade 12s from Ebony Park. The walk was coordinated by Hadithi Media as local organisers of this global initiative, a Vital Voices Global Mentoring Walk. This initiative comprised 132 walks which took place in 61 Countries around the world. The intention was to create an accessible platform for dialogue between mentor and mentee, whilst creating visibility around women leadership and mentorship, with the theme: Her Story, Your Story, Shared Stories. Importantly this day served to motivate women of different ages to voice their stories through writing and taking visuals of of their stories. The day started at 8am, with registration and breakfast. Rehema Isa gave an overview of their organisation and why it is important for them to host such an event and what is the desired outcome they are looking for at the end of the programme. Rehema Isa further introduced the stakeholders and the roles they played towards making that day a success. Stakeholders that took part in the event were the US Embassy,The Passionate Professionals, Thadithi media as well as IkamvaYouth.Mamelodi intern Naledi was given an opportunity to explain what IkamvaYouth is and give a brief background about our organisation and why I think the event is relevant to our organisation. Towards the end of the programme a collective feedback session in the respective teams was conducted and the teams were also given the opportunity to shoot videos that will be posted on social media and their website talking about their experience about the event. The objectives of raising awareness about mentoring as a key tool for personal, professional and business development were achieved and the event brought together women professionals and emerging women in mentoring partnerships, creating a lasting network of role models for the mentees. The benefits of women’s mentorship are numerous. It establishes camaraderie; creates gender-friendly environments; promotes a stronger environment for women’s success and expands horizons for further personal growth as women explore innovative leadership strategies. 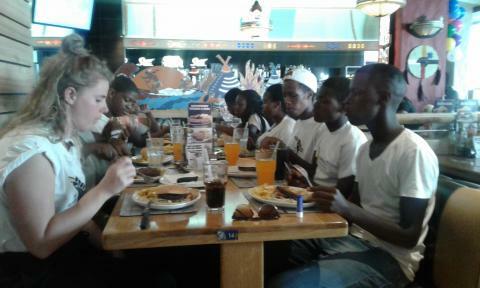 IkamvaYouth’s mentoring programme enables Grade 12 learners to access post-school opportunities. Although the career guidance workshops increase learners’ awareness of post-school opportunities and ways to access them, IkamvaYouth learners need one-on-one support from a mentor to help them make the transition from secondary to tertiary education. The mentoring programme ensures that every Ikamvanite accesses tertiary education and/or employment once they matriculate. Waking up in the morning and looking forward to going to the workplace, are one of the key characteristics of a person who has chosen the correct career path in which they can flourish. 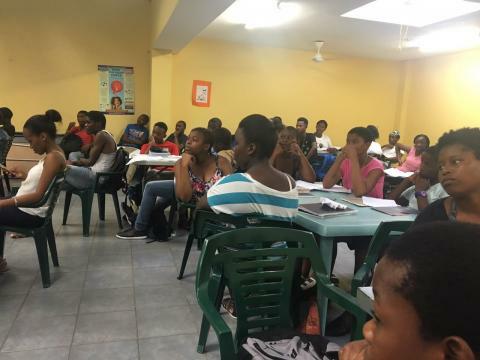 These are the kind of discussions that took place within our Umlazi Branch on Saturday. Our grade 10, 11 & 12s had the opportunity to take part in a workshop which covered all the topics that one would have to consider when choosing a desired career path. The learners put pen to paper and thought about what their personal visions and goals are, an exercise they were quite receptive to. 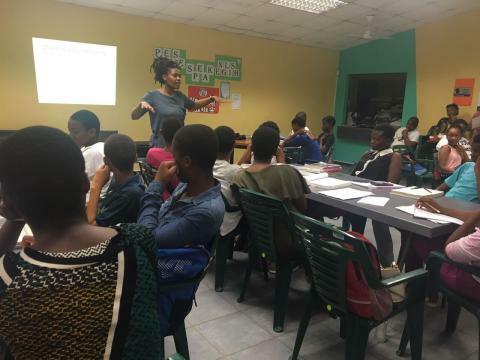 Passionate about the development and encouragement of young people from previously disadvantaged backgrounds, the workshop facilitator, Slindile Msweli from Runway, shared information on the kinds of careers that are available to them as well as the various ways in which they can pursue them. In addition to this, she stressed that learners have a huge part to play when it comes to career selection – this involves researching what they want to study as well as ‘matching’ it to their individual passions, future aspirations as well as their desire to have a job. Thembeka Thusi, a grade 10 learner, said that she did not know how important her career choice is and how much influence she has on it even in her current Grade. 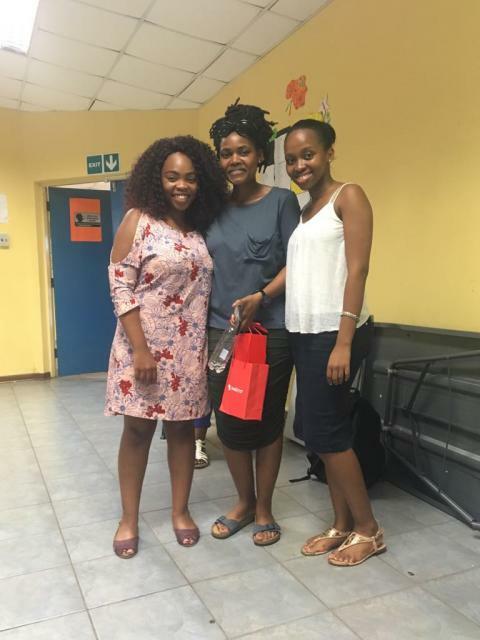 Thembeka also mentioned that she was grateful to learn about using the internet and social media responsibly as it could affect her career opportunities in future. Another grade 11 learner, Menzi Jaca, said that his dream is to be a doctor and he knew that his subjects had to be pure maths and physical science. Now understands that the reason why he has to work hard to pass in school is so that he can get the required points to gain entry into his course at university. 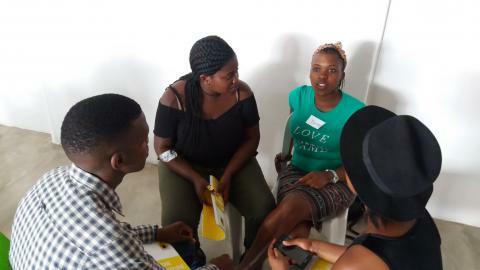 In closing the workshop, our Umlazi Ikamvanites got to understand that under-preparation for university and lack of insight when choosing the right career path, resulted in a lot of dropouts and also an increased national rate of unemployment. We at IkamvaYouth are grateful to be one of the key instruments within our respective township communities, that ensure and promote the individual preparation of our learners for university through our various programmes that in turn make a great mark on the country as a whole. We look forward to working with RUNWAY in the near future. On Saturday the 11th of March, the Nyanga branch had a strategic planning day. The aim of this day was to plan for the year. The event was attended by the newly elected and eager Branch Committee. 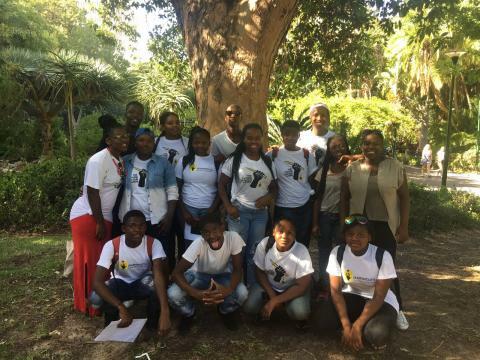 The group of learners, tutors and staff travelled to the Cape Town Company’s Gardens for the day. The idea was to have a relaxed picnic-style planning day out in the sun. In true Ikamvanite style, the day started off with an ice-breaker. The agenda for the day included explaining the purpose of the Branch Committee; going through the Nyanga branch strategic goals for 2017; strategic planning for 2017 and assigning roles and responsibilities. The group was split into two in order to draft a monthly plan of branch events for the duration of 2017. The groups then came together to merge their calendars, this calendar will be used by the branch for the duration of the year. After a full afternoon of planning, the group headed out to a ‘secret’ location for a late lunch. It was a great way to end off the day. The Nyanga branch looks forward to all the great events we have planned for 2017! Do you have an after-school education programme running in Gauteng? Do you want to join a community of organisations working together to deliver collective impact: improved academic achievement, excellent matric results and access to post-school opportunities, for learners in township areas? Would you like to receive training, support and funding to achieve more impact? The Learning Trust (TLT) and IkamvaYouth have partnered to develop and expand the Collaborative Community Programme (CCP). 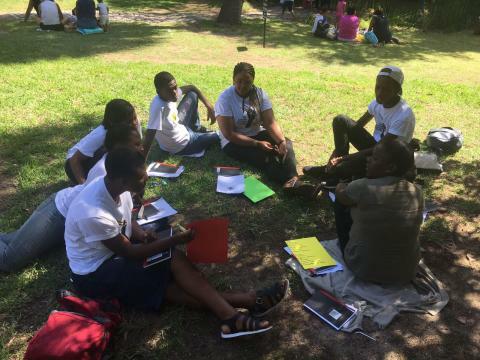 The CCP is a growing network of after-school programmes in Western Cape and Gauteng, where members are provided with knowledge, skills and resource-sharing opportunities. 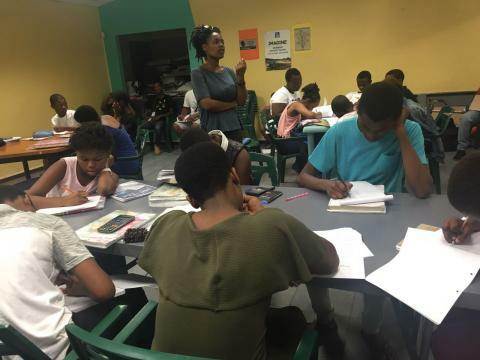 CCP aims to increase the number of high impact, sustainable tutoring programmes in South Africa. Become a member of the wider collaborative community, where you will be invited to take part in networking, skill sharing and targeted training sessions for coordinators and tutors. Be selected to attend a three day Programme Coordinator Training 4-6th April 2017, this will provide know-how and tools on implementing the model and achieving results. 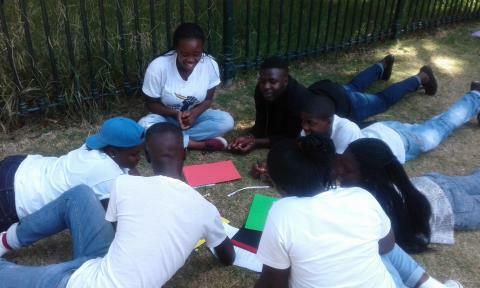 Following a 3-6 month probation period, could become a grantee of The Learning Trust and an IkamvaYouth Implementing Partner, and receive bespoke capacity support in all areas of organisational development, such as the areas of strategy and M&E, fundraising and governance, and financial controls. Join the movement to track and monitor collective impact: use the customised data capturing tool for monitoring and tracking, and become part of a community delivering collective impact and working together to build an effective sector of after-school programmes working in an increasingly aligned and collaborative way with Government. Align closely with the 5 core values of IkamvaYouth and The Learning Trust’s values of humility, diversity, honesty and a commitment to learning. Be an emerging community based organisation or a more established organisation looking to improve, grow, or change its tutoring model. Complete application form online and submit a motivation letter by email to zoe@ikamvayouth.org by the deadline of Thursday 23rd March 2017. If you have any questions please contact Zoe Mann on 0744767965. Successful applicants will be informed of next steps by end of day on Friday 24th March 2017. Please ensure that at least one member of staff is available for a telephone/Skype call on Monday 27th March 2017. We will notify you of a time should your application be successful. Please also ensure that at least two members of staff from your organisation are available for the full three day training 4th – 6th April 2017; this must include one Director/senior management and one Coordinator/Programme staff.